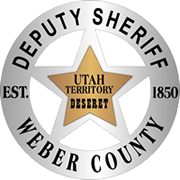 The primary mission of the Weber County Correctional Facility is community protection by incarcerating offenders, holding prisoners, and operating in a manner which significantly reduces the risk of escape, disturbance, and violence, generally enhancing safety and security in the system. The Admission, Release, and Classification Bureau is managed by one Bureau Commander or Lieutenant. The Weber County Correctional Facility averages over 14,000 bookings annually. This includes state, US Marshal inmates, ICE detainees, Probation and Parole violators, and Alcohol Diversion inmates. The booking staff provides services to all agencies within Weber County as well as other counties. Those services include pre-trial release programs for the courts, DNA testing required by the state, fingerprints and photos to agencies for identification purposes, and collection of bail and other fees. Classification Officers provide services seven days per week. The classification process is a means of collecting information about each inmate and housing him or her appropriately for management purposes. Inmates are managed using a six level classification system, level one being the most restrictive. The primary sources of information collected are records from previous incarcerations, Utah State Prison Records, Bureau of Criminal Identification, and juvenile records. Information collected may be provided to other agencies for investigative purposes or provided to the courts to aid in proper sentencing. Classification officers interview each inmate to obtain information from those who may have ADA considerations, medical, dental or mental health needs. This information is passed to the medical unit or other appropriate staff. All inmates are classified within 72 hours. Reassessments are done on a routine basis, behavior being priority, and inmates may move to less restrictive levels allowing them more privileges.